Parrot 4.3 is now available for download. This release provides security and stability updates and is the starting point for the plan to develop an LTS edition of Parrot. Linux was updated to the 4.18.10 version, and linux 4.19 will be released soon. Firefox 63 provides noticeable security and privacy features, but it is no longer available to 32bit systems, so has been switched to firefox-esr on all the unsupported architectures. Has been fixed a bug in the parrot menu configuration that prevented several menu categories to show up. This fixed the missing wine menu bug, which is now back again. The Parrot .bashrc file was updated, now it provides better snap support, the ll alias now shows the size in a human readable format and it does no longer overwrite some global settings as it used to do before. OpenJDK 11 is now the default java provider. Anonsurf received important stability upgrades and now it does not mess up the DNS configuration. 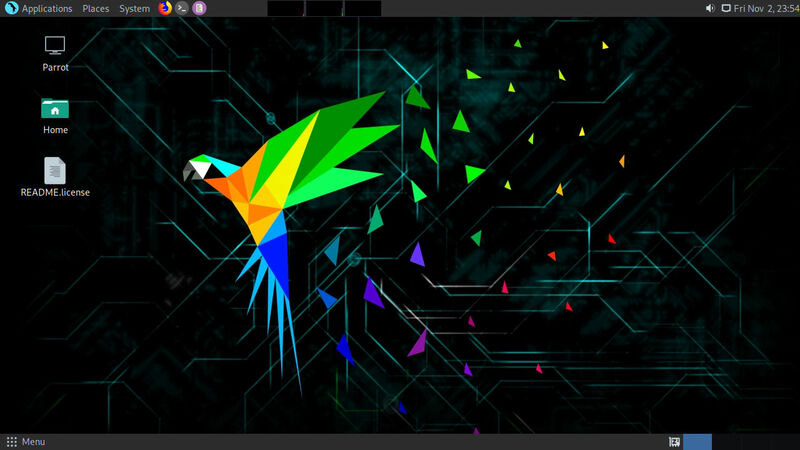 The Parrot edition of the MAIA icon theme was updated. Has been dropped many old unused icons and replaced them with newer ones. Parrot 4.3 provides the latest updates of Debian Testing and many improvements to our sandbox system, in fact, both firejail and apparmor received significant updates, and now the whole system is smoother, more secure and more reliable.